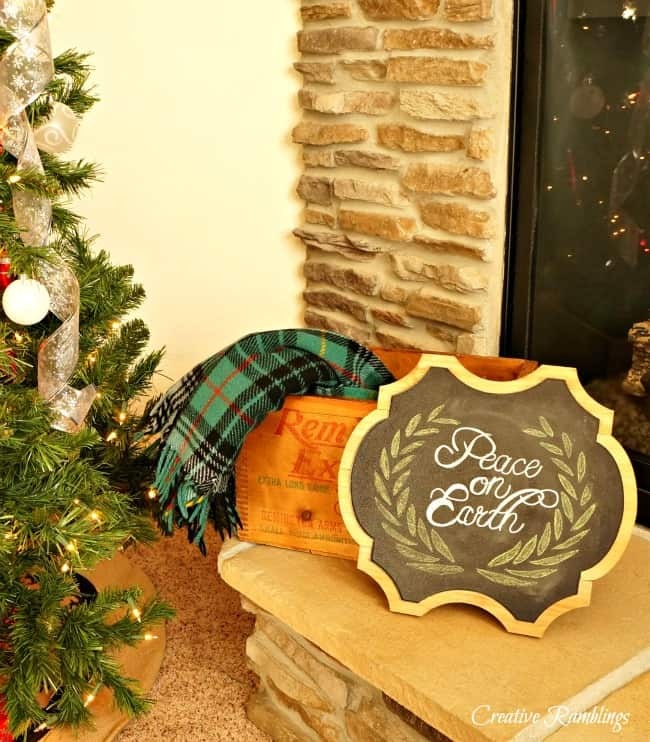 A chalkboard sign with a simple message is a beautiful way to dress up a hearth for Christmas. Last month I shared an easy technique to letter a chalkboard that works for those of us who have horrible handwriting. 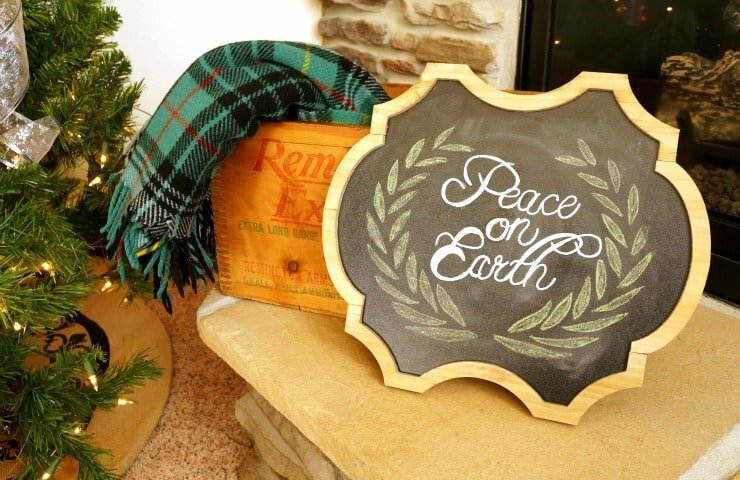 Today I am sharing a Christmas chalkboard sign using that technique along with my cozy Christmas corner. 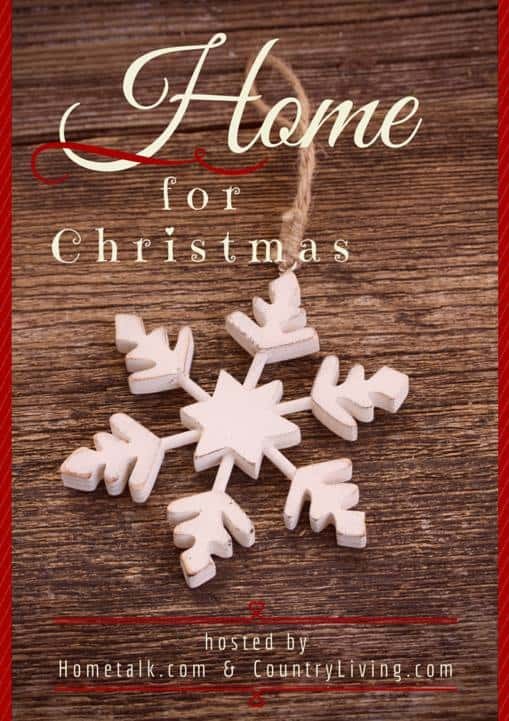 You are in for a treat today, I have joined with some amazingly talented bloggers to bring you Home for Christmas, a holiday blog hop hosted by Hometalk.com and CountryLiving.com. Scroll down to see all the #HomeforChristmas projects. 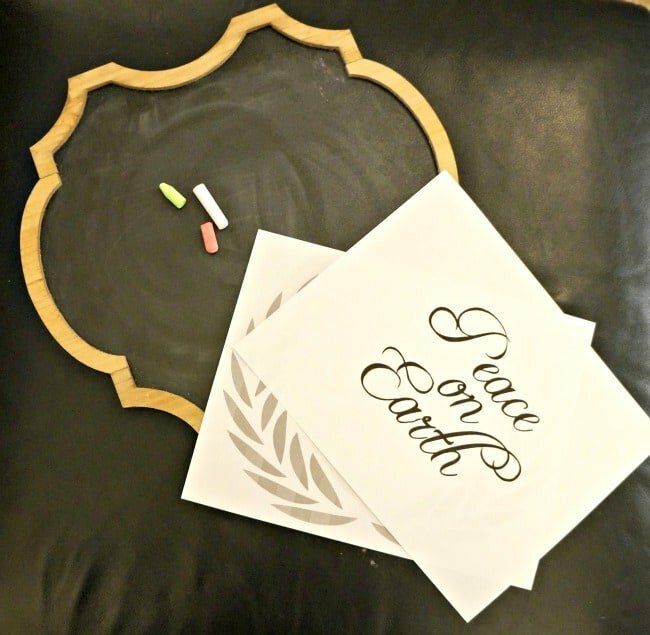 Last week I found a cute little chalkboard sign at Hobby Lobby, I knew it would look great on my hearth. I used this technique to easily letter my chalkboard. For this sign, I used a wreath graphic and text from Picmoney. I sized the images to fit my sign then printed them. Afer tracing the images I used green and white chalk, along with a chalk marker, to fill everything in. This little corner of my living room is so cozy this time of year. 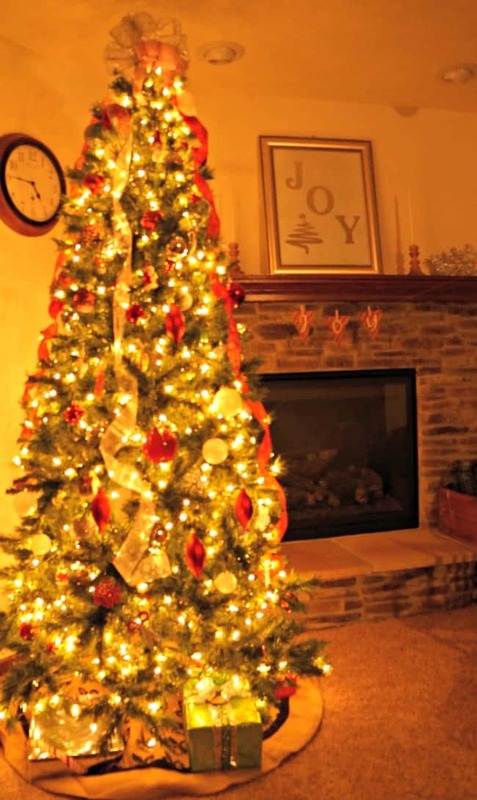 A red and silver tree, a warm fire, and simple cozy touches. You can see all my Christmas projects here and how I try to keep it simple during the holidays. Now take a look at some amazing Home for Christmas projects created by some very festive and talented bloggers. I love chalkboard art and this is perfect for the season! This is a great idea and I know many as I will love to know this technique and who wouldn’t love to see this particular saying, any time of year. I also love the pop of green. Thanks Marie, so glad you liked it. Sarah, I LOVE this little sign, it’s adorable!! Great shape for the sign. My handwriting is great so this technique helps. So cute, I love the simplicity of it!